Ez2 Result November 9, 2018, has its own importance because many people invest their time and expectation on this lotto. 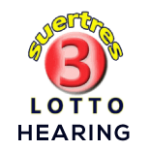 Therefore, here on this page, you can get Nov 9, 2018, Ez2 Lotto Draw. Have any problem? Comment below we will answer as soon as possible. For notification subscribe to our blog. Every PCSO lotto results are upload on its time like the Ez2 Draw announced at 11 am, 4 pm and 9 pm and our team will upload it right after it announced like today 09-11-2018 Result. Therefore, we recommend you to stay active with us for more.